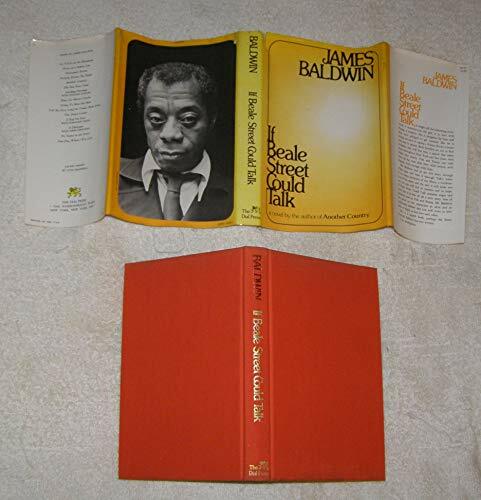 IF BEALE STREET COULD TALK; a novel by the author of Another Country by BALDWIN, James: The Dial Press 9780803741690 Uncorrected Galley. - Second Life Books, Inc.
Synopsis: The relationship between two lovers and their families is the focus of If Beale Street Could Talk (1974). The novel concerns the hypocrisy found in the church and relationships between family members-especially sisters, who for the first time make a serious appearance in Baldwin's work. From the Publisher&colon; Like the blues -- sweet, sad and full of truth -- this masterly work of fiction rocks us with powerful emotions. In it are anger and pain, but above all, love -- affirmative love of a woman for her man, the sustaining love of a black family. Fonny, a talented young artist, finds himself unjustly arrested and locked in New York's infamous tombs. But his girlfriend, Tish, is determined to free him, and to have his baby, in this starkly realisitic tale... a powerful endictment of American concepts of justice and punishment in our time.